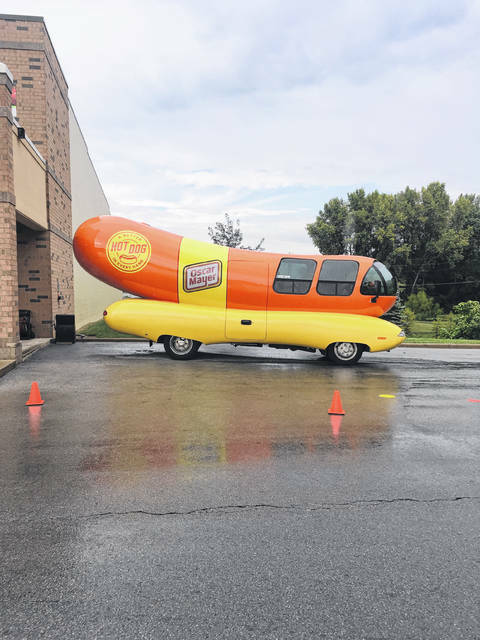 On Thursday, the Oscar Mayer Wienermobile parked outside the Kroger on Highland Avenue. Passersby were given free hot dogs, coupons and toy whistles. https://www.recordherald.com/wp-content/uploads/sites/27/2018/09/web1_IMG_2279.jpgOn Thursday, the Oscar Mayer Wienermobile parked outside the Kroger on Highland Avenue. Passersby were given free hot dogs, coupons and toy whistles.